It's that time of year again blogging buddies! 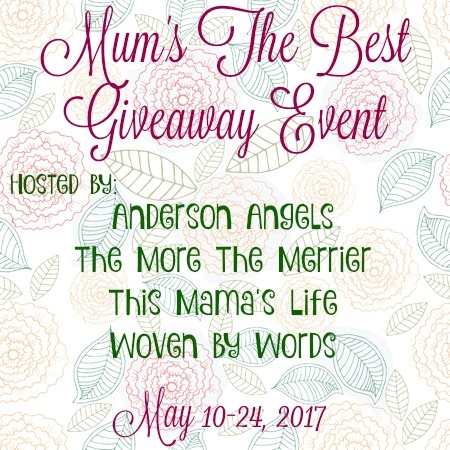 Andersons Angels, This Mamas Life, The More The Merrier & Woven by Words! 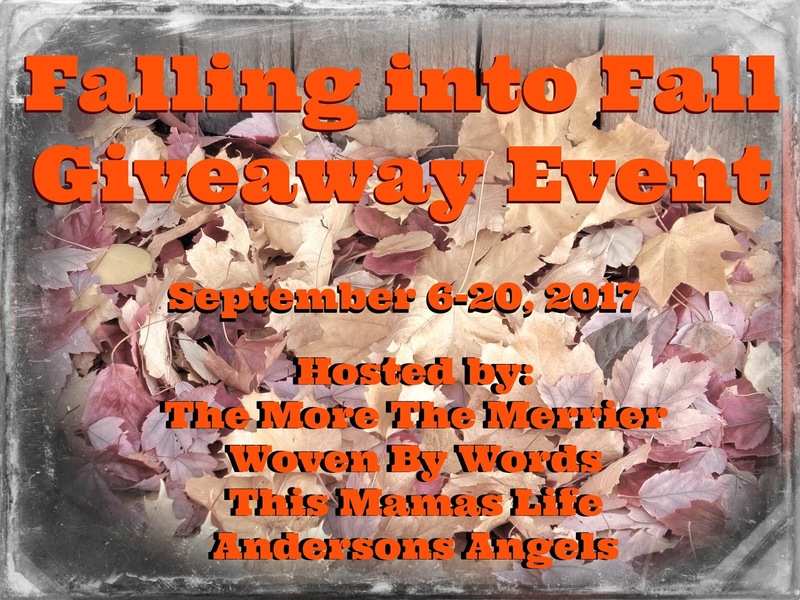 We are excited to bring you the exciting 2nd Annual Falling Into Fall Giveaway Event . 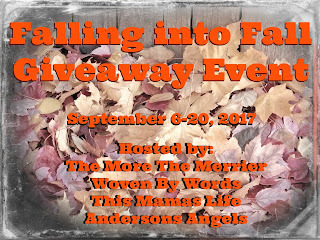 It will run from Wednesday September 6, 2017 at 12:00pm EST (NOON) through Wednesday September 20, 2017 at 11:59pm EST.It's super easy to join in on the fun! DEADLINE: Sign-ups close on August 30, 2017. Details will be emailed by September 4th. If you have any questions about the event, we're available to help!